Today GrabCAD announced a beta of GrabCAD Workbench, an online secure 3D collaboration platform targeted to CAD users. Think of it as Dropbox in a browser with a WebGL viewer to 3D preview your files. You can create projects and invite others to collaborate with you. 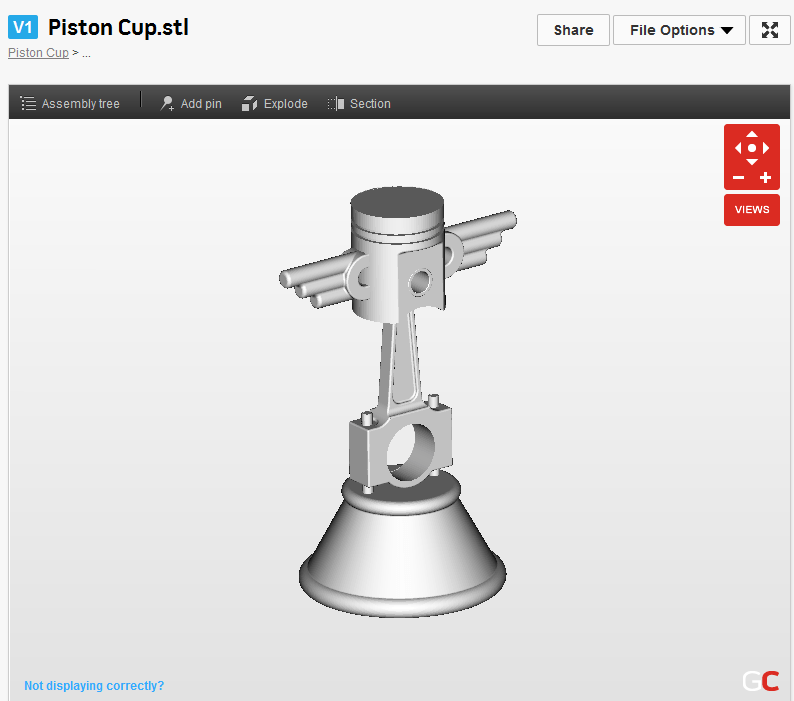 I signed up for the beta, created a project and uploaded the STL file of my Piston Cup creation from Cubify. I could pin a comment to the model. The 3D view has dynamic sectioning which will be helpful to visualize and understand the model better. Measurement is missing and I hope its on their to do list. 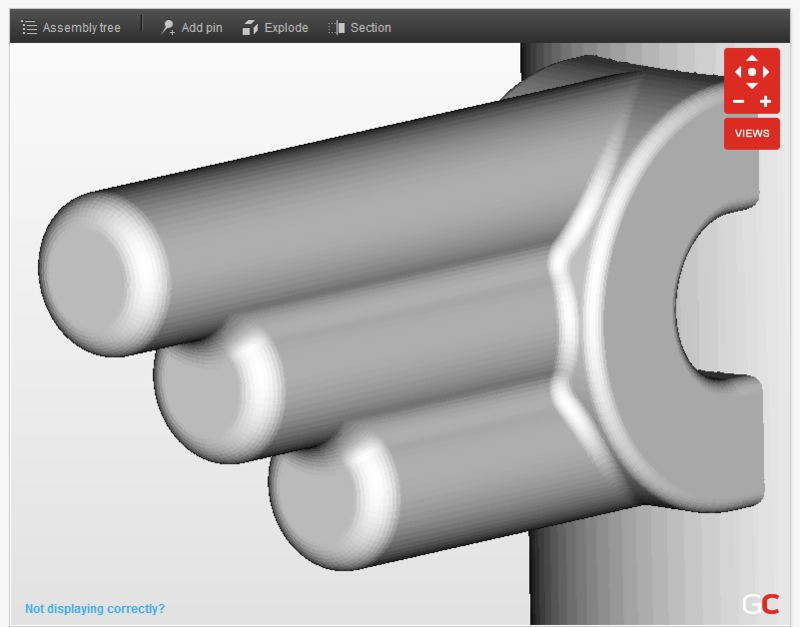 There’s lots more to GrabCAD Workbench and I recommend that you try it out. Remember that its a beta. A lot has been done and it seems like a lot more needs to be done. For me the deal breaker was one crucial user user experience aspect which I’m hoping the folks at GrabCAD find an elegant solution for. The STL file I uploaded was 5 MB large and it took a couple of minutes to upload using my home internet connection, which isn’t too bad. However, when I clicked the STL file in the project window I saw this progress bar and it took another couple of minutes to reach the end, after which the model showed up in the WebGL window. I found it a little odd because I assumed that after my STL file was uploaded it would have been converted into a web optimized format for quick download and display in a browser. 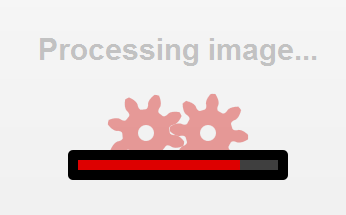 So after waiting for a total of four minutes I could finally see the 3D model in my browser. I wasn’t too pleased. Anyways, I proceeded to played around with model, pinned a comment, inspected it using section planes, etc. To my dismay I found that if I clicked on another item in the project tree and clicked back on the STL file I need to wait another two minutes for the model to show up in the WebGL window. This makes it practically unusable for me or just about anyone else who will want to collaborate on real world models and not just simple boxes and spheres. I inspected my model closer and realized that the 3D data sent to my browser was the original high resolution mesh which it why it took me two minutes to download and show it in the WebGL window. For collaboration you don’t need the high resolution model. A coarsely tessellated model will do just fine. After all you are only going to pin comments on it. All in all, it seems like a good start and I wish my friends in GrabCAD the very best.